Galeries Lafayette is a luxury department store chain. Their main store is located in Paris and is famous for its iconic Christmas decorations. This year’s theme is “The Dream Factory”, sponsored by Maison Piaget. 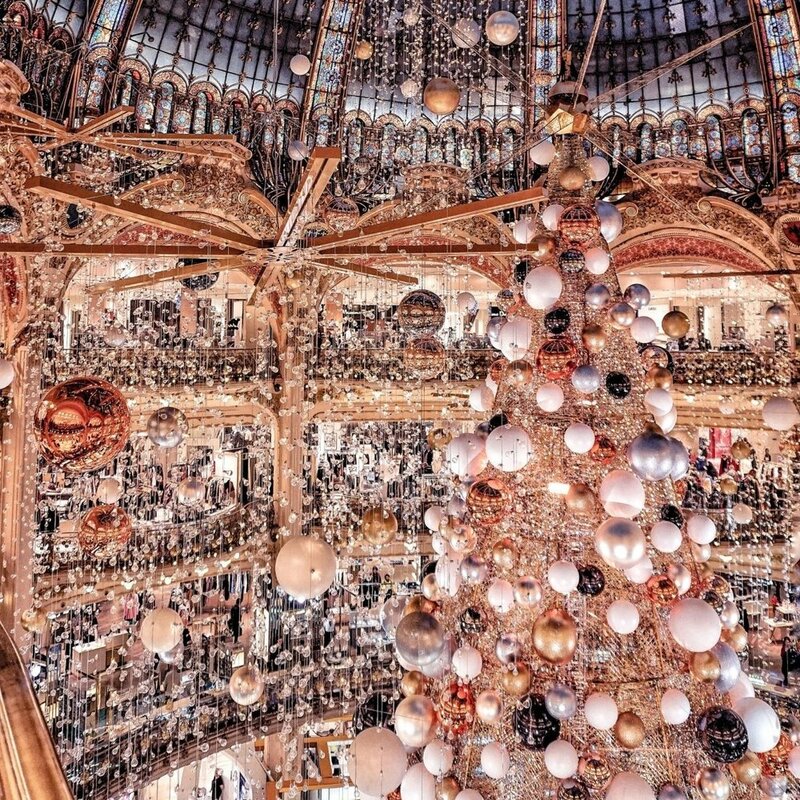 We’ve gathered in this post the last five years’ Christmas decorations from the Galeries Lafayette to help you get in the holiday mood. Last year’s theme was "Spectacular, spectacular! ", representing a colorful universe. Galeries Lafayette were transformed into a circus. The Christmas tree was made of candy, doughnuts and balloons. The decoration was made by We Love Art. The theme of the 2016 decoration was "An Arctic Christmas", directed by the filmmaker Luc Jacquet. It told the story of a white bear family who was threatened by the ice meltdown. The tree was all made of paper sculptures enhanced with light reflections, created by the artist Lorenzo Papace. In 2015, the theme was "A Christmas From Another Planet". The windows decoration featured Star Wars characters and the tree was inspired by the Milky Way, with gold and silver ornaments that represented stars and meteorites. "A Monstrous Christmas" was the theme of 2014. 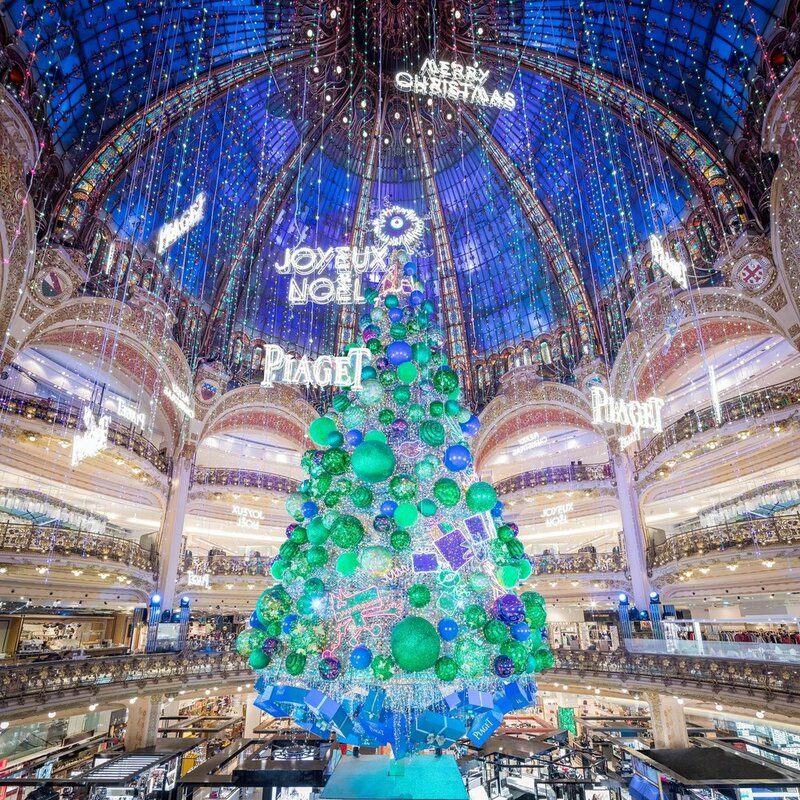 The Christmas tree, designed by Frederic Louvau, was a surprise because it was set upside down, and the decorations were all inspired by the motives of the centenary Art Nouveau dome. In 2013 the theme was "Once Upon a Christmas... Before the Clock Strikes Twelve", sponsored by Swatch to celebrate it's 30th anniversary. The decoration featured scenarios from the French movie Beauty and the Beast. Each hour, with the clock's ring, the tree was transformed into a small theater with a spectacle of lights and music. If you enjoyed this article, you should check out our Hangzhou Neobio Family Park post.